Wole Soyinka is forgiving and commuting personally designed punitive sanctions once again and in the most “magnanimous” and “solemn” of ways. Wole Soyinka is a great man. Soyinka is neither God Almighty, a spiritual leader (except within the National Association of Seadogs a.k.a. Pyrates Confraternity), a president, a jurist, nor an organised crime boss. Where the authority for Soyinka pronouncing “Fatwas of Forgiveness” upon great and small men originates from is a disturbing curiosity countless people share. The new round of forgiveness from Soyinka has been triggered by the mourning of his long-time friend and confidante, the very excellent and honourable person of lawyer Deji Sasegbon, SAN (Deceased). Does anyone need forgiveness to deservedly mourn Sasegbon, who brought meaningful facilitation and joy to the lives of innumerable people? Do those who have “sinned” against Wole Soyinka have to accept forgiveness as unwitting agents of expediency? 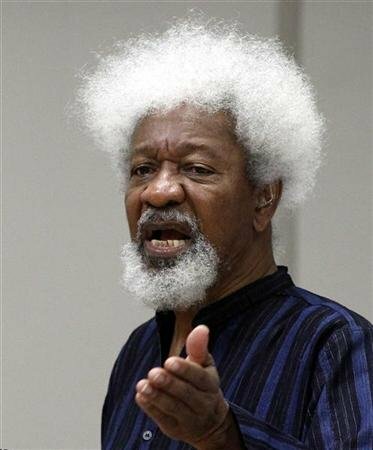 When Wole Soyinka sanctions a person it is nothing terrible, it is an entry into his extremely lofty “Black Book” and he has the voice to make it known to a wide audience. I have accurately demonstrated in a number articles the kinds of persons Soyinka would forgive and expunge their names from his Black Book, even if for decades he painted the persons as inhumane, savage, uncivilised and unfit to live. President Muhammadu Buhari is a textbook example. Men can also be praised for decades only to enter the Black Book. The demonstration has also shown how Wole Soyinka can choose to condemn some people to sanctions in his Black Book while turn a blind eyes to others who did exactly the same thing at the same time. But why is this always so, predictably? Self-interest and expediency are the uncomplicated answers. US President-elect Donald Trump is the newest entrant into Wole Soyinka’s Black Book, well in the public domain. I predict that sometime during the presidency of Trump, Soyinka will “forgive” him; the incentives are far too irresistible for him. Yet, he will require a “Soyinka moment” to execute it, in the most flamboyant and opportune style. Soyinka’s Fatwah of Forgiveness towards Trump will come to pass. I have always speculated for exactly 30 years that Wole Soyinka will live to the age of 100 with his mind intact. It is his beloved “Brethren” who constantly ruminate over Soyinka’s demise, yet they claim to love him. Among Wole Soyinka’s “Brethren” i.e. those who have chosen to live and die by the rules and expectations he laid down for them, sanctions keep people in check (rather arbitrarily) but not the “favourites”. The favourites include self-hating Black Nazis who applaud the senseless killing of Blacks by the US police, for instance. Impunity is theirs. Obsequious fawning, being a chameleon and conspicuous adulation will make you a favourite within the Brethren. Some favourites are honourable though. Entering the Black Book is often the work of unsolicited energy. Noteworthy is the fact that the more morally upright one is within his Brethren, the more likely you are to enter Wole Soyinka’s Black Book. Outside the Brethren people are entered into the Black Book for exercising tyranny, within it people are entered because they fight tyranny. That is some cold cognitive dissonance, many fervently accept as a divine right. May Deji Sasegbon’s soul rest in blissful peace! And the considerable good he did in this world lives after him enduringly and I certainly do not need any forgiveness to say it, feel it and mean it. « Can President Buhari Still Change Nigeria?